A beauty both inside and out – Dylan Conrique is one triple-threat that everyone adores! Two seasons down with another one soon approaching us plus a feature film based on the series – it’s clear to see that digital network, Brat’s series, Chicken Girls is a total hit and we can’t get enough of seeing our girl Dylan Conrique in it. We always enjoy watching Dylan Conrique’s spectacular talent in Chicken Girls and she never fails to put a big smile on our face with each and every episode. Aside from being a terrific actress, Dylan Conrique is also known for being a fabulous singer. Her vocals are so harmonious and angelic and we could listen to her beautiful, singing voice 24/7. To round out her triple-threat persona, Dylan Conrique is also a remarkable dancer. Seriously, is there anything that this marvelous, young lady can’t do?! Dylan Conrique is always a busy bee – when she’s not working on set of Chicken Girls or acting in other projects, you can catch this gal on tour performing and meeting tons of her fans. There is no doubt about it – the sky is the limit for the wonderful Dylan Conrique and we know that a lot more exciting things are in store for her. 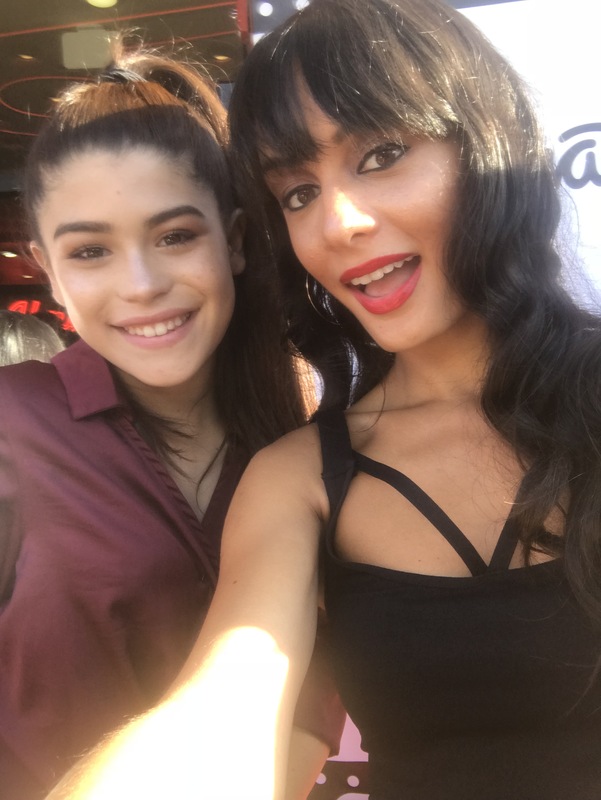 I, Alexisjoyvipaccess had a great time covering the premiere of Chicken Girls: The Movie and had an amazing time interviewing the dazzling Dylan Conrique at the event. Dylan Conrique dished exclusively to Alexisjoyvipaccess all about what it was like for her working on Chicken Girls: The Movie, what she would like to see happen to her character in future episodes of Chicken Girls and so much more only in our VIPAccessEXCLUSIVE interview. Dylan Conrique even gave out some superlatives to her Chicken Girls: The Movie cast-mates and revealed who she thinks is most likely to be president, who is the best dancer and more – hear what she had to say in our VIPAccessEXCLUSIVE interview below. Thanks for the awesome interview, Dylan! Check out my VIPAccessEXCLUSIVE interview with the radiant Dylan Conrique at the premiere of Chicken Girls: The Movie below. Be sure to watch Chicken Girls: The Movie out now on Brat! Dylan Conrique The World's Astonishing News! Previous VIPAccessEXCLUSIVE: Nia Sioux Interview With Alexisjoyvipaccess At The “Chicken Girls: The Movie” Premiere!